SpeedyPros is often called to design and produce signs, posters, banners, stickers and decals for the Sports and Leisure industry. Our most popular posters, by far, are yoga posters that show the yoga positions and philosophy – for use with yoga signs at the studios where yoga classes are held. Many people are seeking this restorative and beneficial form of exercise for mind and body in these fast-paced, highly stressful times that we live. Of course there is steady demand, too, for printed football items – everybody wants their favorite team’s banners and flags to show support and cheer them on. Football flags, as well as football posters, are always best sellers. As well as for the major teams, we also print decals, stickers, banners and other football signs for school and local clubs in their team colors. 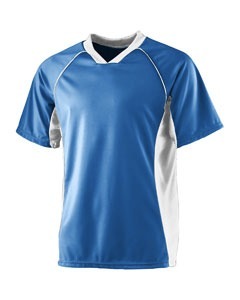 Our quality printed uniforms, custom apparel and embroidered sports gear helps make sure any team is well kitted out and clearly identifiable to their fans and supporters. As well as a wide range of outdoor signs and banners, SpeedyPros also print camp signs and flags and a full range of sports posters, banners, decals and stickers – browse our free online templates to view. When a race event or marathon is being held, SpeedyPros supply the printed race flags to indicate the route, with run signs and marathon posters to publicize the event to runners and road users alike. In the same way, we provide printed stickers, posters and banners for cycling events and motocross. SpeedyPros print golf flags as well as diving flags and the most important sporting sign of all – the finish line flags!